Comprehensive, visually stunning review of oocyte medicine and biology. The authors of the chapters are distinguished authorities in their respective areas of competence. The oocyte is the largest and most mysterious cell in the body of mammalian organisms. Through its growth and maturation, it reaches extreme levels of specialization, while maintaining at the same time a condition of totipotency. Its unique ability, in co-operation with the spermatozoon, to give rise to a fully developed organism formed from hundreds of different tissues and myriads of individual cells has inspired intellectuals of all ages. 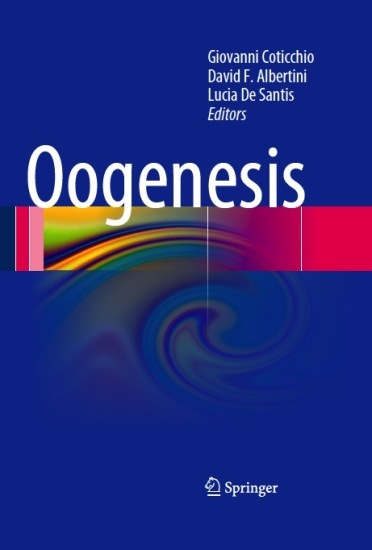 Oogenesis finds impetus and purpose in casting scientific perspective towards this unique cell for the benefit of scientists and assisted reproductive technology (ART) specialists. The authors of the chapters are distinguished authorities in their respective areas of competence. From the opening of the book the reader is lead on a fantastic voyage from the formation of the primordial oocyte to the development of the early embryo, passing through crucial processes of oogenesis, such as co-ordination of oocyte and follicle growth, gene expression and organelle reorganization during growth and maturation, epigenetic mechanisms, regulation of meiosis, totipotency, cell polarity, oogenesis in vitro and maternal regulation of early development.